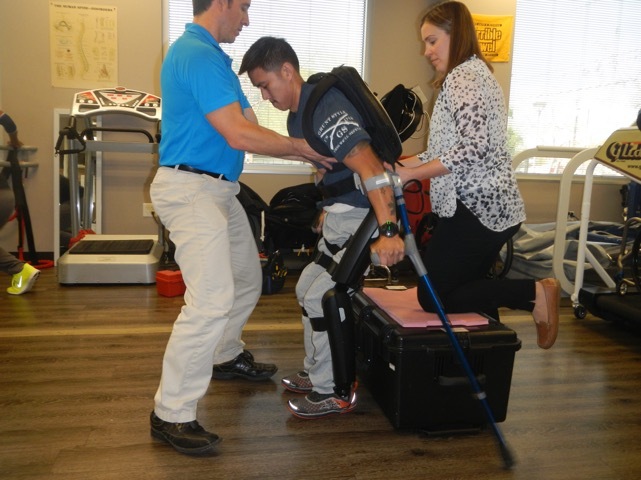 Touchstone Rehabilitation is the ONLY certified training center for the REWALK Exoskeletal system. 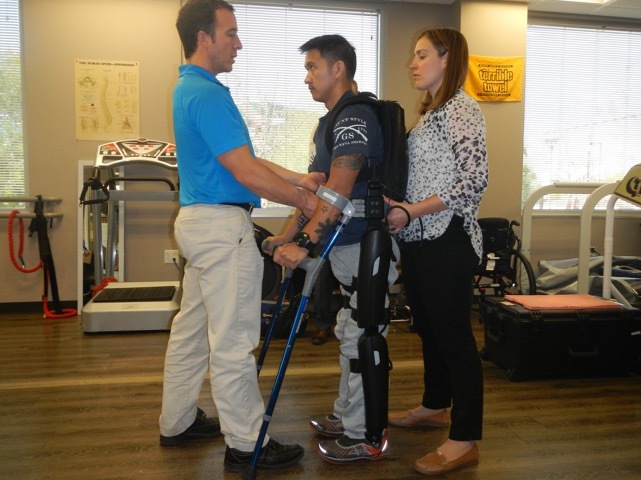 REWALK is the only FDA Approved Exoskeleton for home use. The ReWalk™ Personal System was designed for everyday use in a range of environments. It can be used at home, work, or other locations. It functions outdoors and on different surfaces or terrains. The ReWalk can sit, stand, allows turning and has the ability to climb and descend stairs*. The batteries that supply power are intended for all day use and are recharged overnight. It is customized and sized for each individual user. It is available after meeting requirements from a medical examination and successful completion of the required training program. The company also offers a comprehensive maintenance and warranty program for the system once you take it home. ReWalk Robotics mission is to fundamentally change the health and life experiences of individuals with spinal cord injuries. The ReWalk™ is the result of this mission; it is a world-class walking system that will allow paraplegics to bring walking into their daily lives once again. Culminating over a decade of research and development, the ReWalk represents the first truly practical, real world, walking solution for persons with lower limb disabilities. Dr. Amit Goffer, who founded the company in 2001, was inspired to develop the ReWalk exoskeleton unit because of his own personal story. Dr. Goffer is quadriplegicand his goal was to develop a product that would enable persons with spinal cord injuries to walk again. Over the past decade, Argo has grown from a small research and development start-up based in Israel to an international company with headquarters in the US, Germany and Israel. The system can accommodate a range of heights (160 to 190 cm / ~63 to ~75 inches) or weights (up to 100 kg / ~220 pounds). The ReWalk Personal is currently available with FDA Clearance in the United States, CE Mark in Europe (including Turkey) and is licenced to sell in Canada.